So about the slow food at Pho Central, we started off sharing the Special Banh Mi first. Unlike the one we had at Pho Goodness several weeks back (which is located on the same block), the baguette was light, airy and toasted up nicely being crusty. It was loaded with just enough ingredients to make the whole thing savoury and fulfilling. 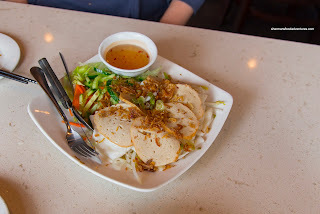 There was a considerable amount of fish sauce used, so there was a some pungent saltiness. 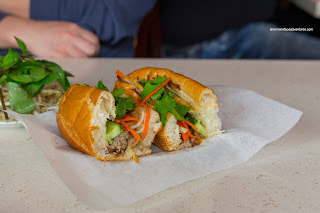 Milhouse decided on the Banh Uot with Cha Lua. This was pretty good as the noodles were soft with a certain elasticity. There was enough meat to make the dish hearty as well. For myself, I had the aforementioned Pho Dac Biet and wow, from the first sip, there was a whole lot of MSG going on. 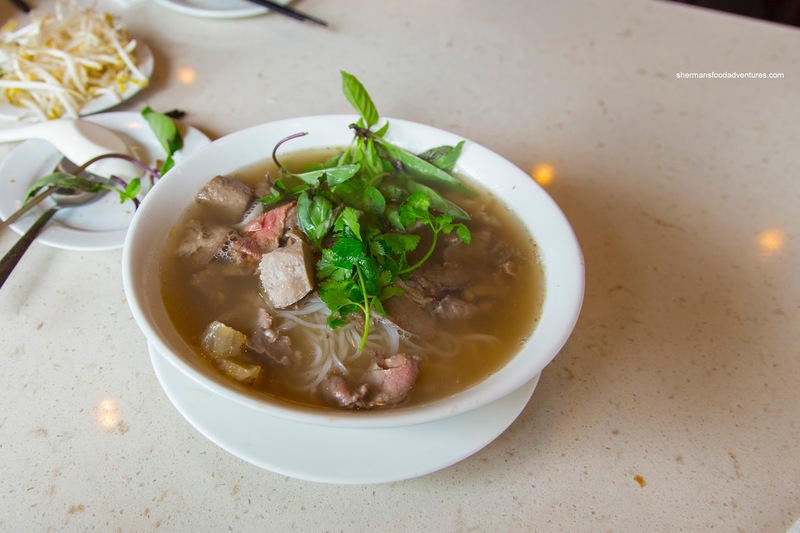 Now with that being said, it meant the broth was pretty flavourful packing a sweet and salty punch. It also had a noticeable meatiness as well as some background star anise finish. I found the meats to be sliced super thin and tender while the noodles were al dente. 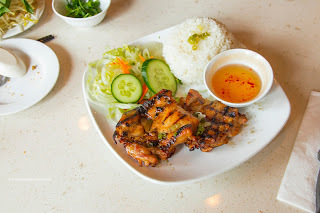 Lastly, I got the Lemongrass Chicken for good measure and I found the meat to be well-charred and tender. It was also properly marinated. 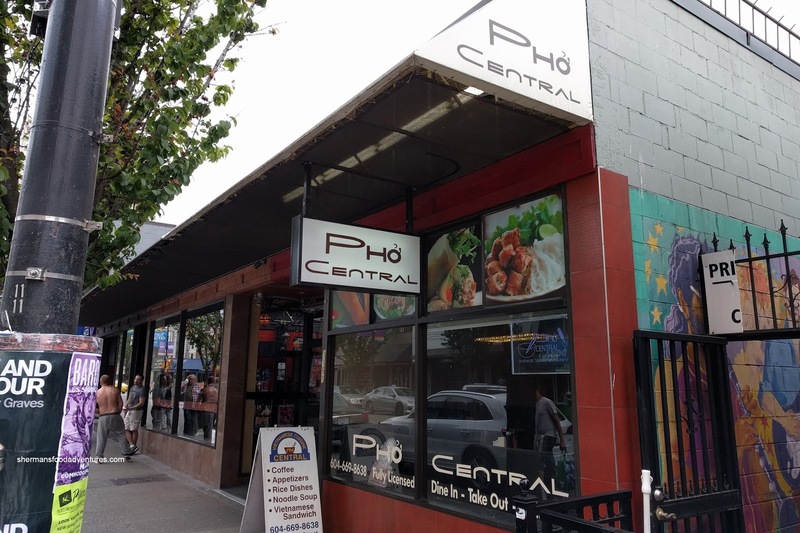 Overall, the items we tried at Pho Central were well-prepared. Personally, I enjoyed this meal more than the one we had at Pho Goodness a few stores away.